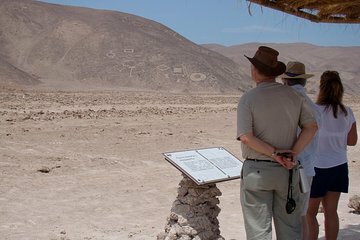 Immerse yourself in the history of Chile as you explore Iquique and its surroundings. Visit the UNESCO-listed Humberstone town which was once a booming nitrate extraction site, observe the local flora and fauna, see the petroglyphs carved into the mountain slopes, and visit the salt-mining desert town of Salar Grande. This tour is great for those interested in learning about the history, culture, and daily life of northern Chile. Pick ups and drop offs from centrally located hotels in Iquique.